Personalised Gymnastics Bag for Boys. 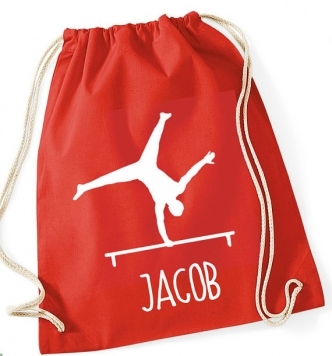 This lovely cotton drawstring kit bag features a male gymnast silhouette and can be personalised with any name . Ideal for boys to carry their gym kit, and makes a great birthday gift!